Before plunging into more detailed analysis of the Better Together plan, let’s take a moment to gaze out over the totality of the entire proposal. Have you ever heard of The O’Hara Rule? James G. O’Hara (1925-1989) was a Democratic Congressman from Michigan who became a power in the House Education and Labor Committee in the 1960’s and 1970’s. As conveyed to me in 1970 by Jim Harrison, his senior legislative aide, The O’Hara Rule defines a perfect length for proposed legislation – not less than 40 pages or more than 80 pages. I thought of The O’Hara Rule as I ground my way through reading the detailed constitutional amendment proposed to implement the Better Together plan to merge St. Louis City and St. Louis County. It’s 15,307 words long per Microsoft Word’s word count utility. (We confirmed this count by downloading a PDF of the revised amendment from the Ballotpedia website and the redlined amendment from the KWMU website, performing OCR conversions and transferring them into Word. The two word count totals matched.) The portions of the Missouri Constitution that the amendment will replace total 1,909 words. Better Together’s amendment is over twice as long as the entire US Constitution (7,591 words, including all 27 subsequent amendments)! 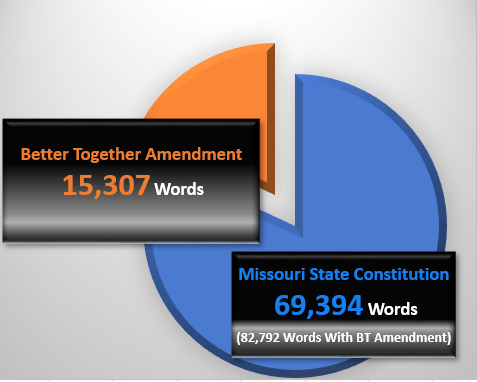 The Missouri Constitution that Better Together would amend – no model of brevity itself – contains 69,394 words according to the Council of State Governments. 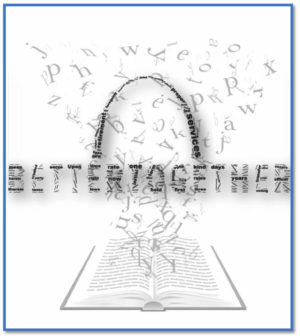 Thus, achieving Better Together’s proposed reorganization through constitutional amendment would add about 20 percent to the length of the state constitution. Moreover, the proposed amendment goes into extraordinary detail. What really caught my attention was its mandating the creation of four deputy mayors (for Community Engagement and Equity, Economic Development and Innovation, Public Health and Safety, and Community Development and Housing) by constitutional authority. Not only would a Metro Mayor be required to fill and oversee such offices but these offices could not be modified or abolished except by amending the amendment by statewide vote. Even municipal charters elsewhere that establish specific executive branch offices (such as Nashville) can be a amended by vote of just of the local citizens. By contrast, consider how the US Constitution sets up the executive branch of the federal government. 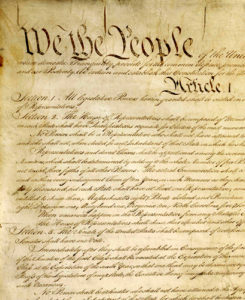 “The executive power shall be vested in a President of the United States of America (Article II, Section 1.1).” Period. 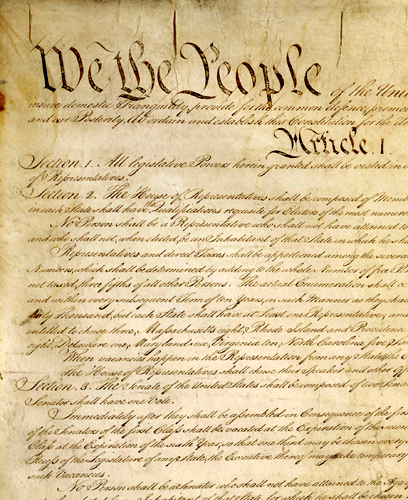 But those are the only constitutional provisions regarding organization of the federal government’s civilian executive branch. They’ve worked for the last 230 years. It’s not for me to judge the politics underlying the Better Together plan. 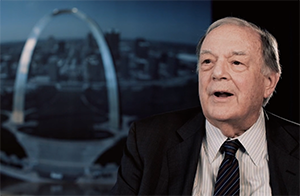 That’s for St. Louis City and County residents – or, as Better Together proposes, all Missouri voters – to decide. “Unfortunately, there is a striking similarity between the underlying philosophy of the separation movement of the nineteenth century and the consolidation approach which presents the borough plan amendment today. Both are absolute solutions with the accompanying elaborate claims. It was a great divorce in 1875. It would be a forced marriage in 1962. It seems to me that, with its proposed 15,307-word constitutional amendment, the Better Together plan violates both The O’Hara Rule and its own above standard. These are great – keep them coming. Since BT knows what’s best for us, maybe they should name the new metro city. Possibly sell the naming rights to the highest bidder. Think of the possibilities. . .